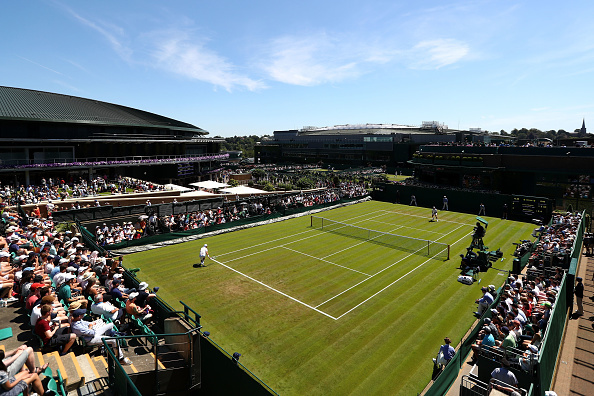 The first match on the famous Court 18 at Wimbledon saw Lucas Pouille come through wildcard American Denis Kudla 6-3, 6-3, 2-6, 6-3 to book his place in round two. He will now play the qualifier, Denis Novak after he got past Canadian Peter Polansky in straight sets. 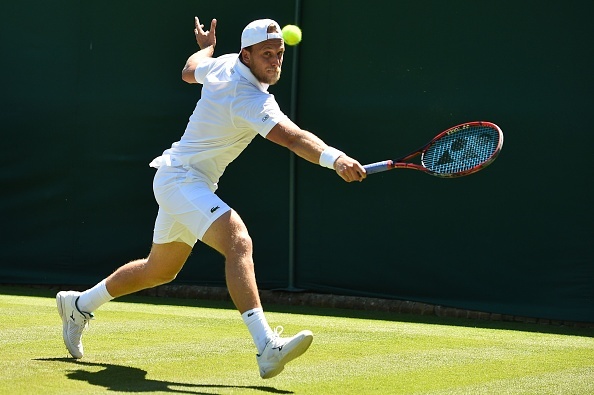 With a game point to his name, Denis Kudla rattled off three straight points to bring up a break point against the Frenchman. An ace sent the game to deuce but once more, the American came back to earn a second break point. Once again, Pouille's huge serve got himself out of trouble before going on to hold a tricky game for 1-0. The American then hit an unforced error to fall down a breakpoint. Kudla withstood the break point with an unreturnable first serve as he went on to level at 1-1. The seventeenth seed held his second service game then fashioned two break points after advancing up the court and hitting a wonderful forehand winner. The first was saved following an eager forehand shot but he broke in the next point to go 3-1 ahead in just 15 minutes. A comfortable hold to love gave the 24-year-old a 4-1 lead. But two games later, Pouille wobbled on his service and threw in a double fault to gift a break back point at 30-40. An attempted forehand shot hit the net as Kudla broke back for 4-3. But the world number 19 hit back immediately to regain his break and serve for the match up 5-3. Attempting to get back into the match, Kudla had two break points opportunities saved as Pouille two points later picked up set point. Four straight points gave the Frenchman the opening set. In an error-filled game, Pouille found himself with a break-point chance early in the opening set. But he couldn't take advantage and notched up an error to bring the game to deuce. The 25-year-old found himself struggling on serve with Pouille taking advantage as he grabbed another break point opportunity. Kudla surrendered the game with more errors to fall behind 1-0. Buoyed by breaking early on, Pouille started to relax and was hitting more freely, going on to consolidate to take a 2-0 lead. The American's serve collapsed in the third game as back-to-back double-faults allowed the Frenchman a breakpoint at 30-40. He responded well with an ace to send the game to deuce but the Frenchman would again, have a breakpoint chance in the game. He withstood the pressure to save the breakpoint and hold to stay alive in the set at 2-1. The Frenchman looked confident as a hold of serve to love made it 3-1 in his favor. In a huge fifth game, the world number 84 battled to save four break points before going on to eventually hold for 3-2 to avoid going further behind. Three more service games passed and Pouille found himself 5-3 ahead after saving a breakpoint earlier in the game. He brought up three break/set points to put Kudla under more extreme pressure. He managed to save two of the breakpoints but another unforced error let him down as he got broken and lost the set 6-3. Having broken Kudla in the last game of the second set, Pouille had the pleasure of serving first and keeping ahead in the third set. He managed to begin the third set with a six-minute hold. Having failed to play the big points better than his opponent, Kudla seemed to struggle even more in this second game as he missed two chances to finish the game. 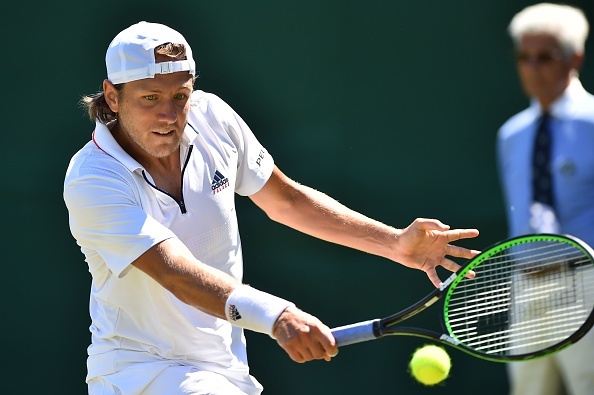 Pouille then hit a brilliant return to earn his sixteenth breakpoint chance of the match. Kudla came forward and finished the point off to save the breakpoint before holding for 1-1. Both players would hold their second service games much easier with the score at 2-2. The Frenchman found himself in a spot of bother but everted that with two aces on the bounce to turn the game in his favor. Kudla kept plucking away and even after missing his second breakpoint, he fashioned a third of this game. He immediately attacked the Pouille second serve and got his reward of a break. He backed it up with a solid service game to go 2-4, after constantly chipping away in this third set. The Frenchman collapsed in the seventh game and served up three double-faults on the trot to fall 2-5 behind. Kudla, buoyed by breaking earlier on closed out the set in stunning fashion to force a fourth, 2-6. Both players began this fourth set by holding their opening service games with ease. Although the Frenchman was holding his serve, it wasn't quite firing on all cylinders as he was prone to a double-fault much like in the third game where he picked up his seventh of the entire match. The American once again after a solid third set found himself struggling on serve but managed to stay in touch with the 17th seed to draw level at 2-2. However, just the two games later, Pouille brought up crucial breakpoint opportunities at love-40. The former fourth-rounder could only save one breakpoint as the world number 19 broke. He consolidated the break and went ahead 5-2. 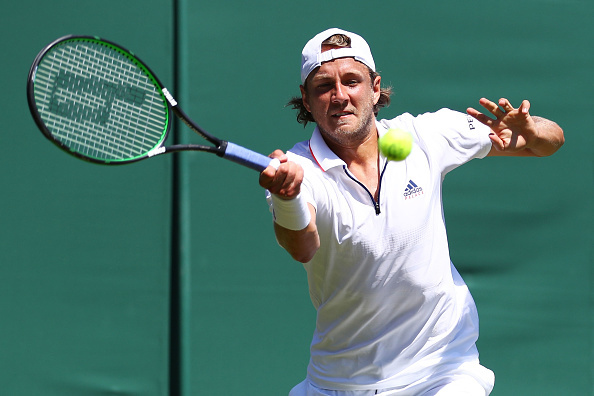 Kudla when needed it the most, stepped up to force Pouille to serve for the match. Which he did, finishing off match point at the first time of asking to advance to the second round at Wimbledon.